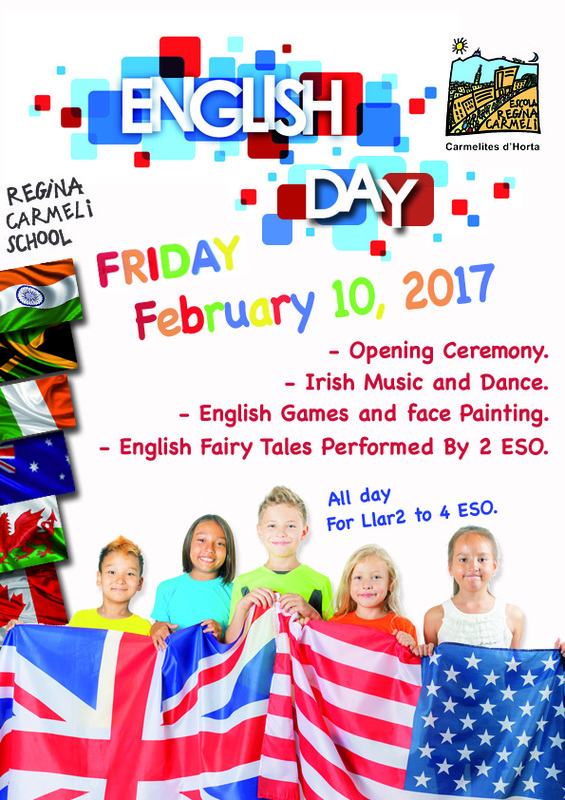 English Day Celebration - Escola Regina Carmeli Horta. 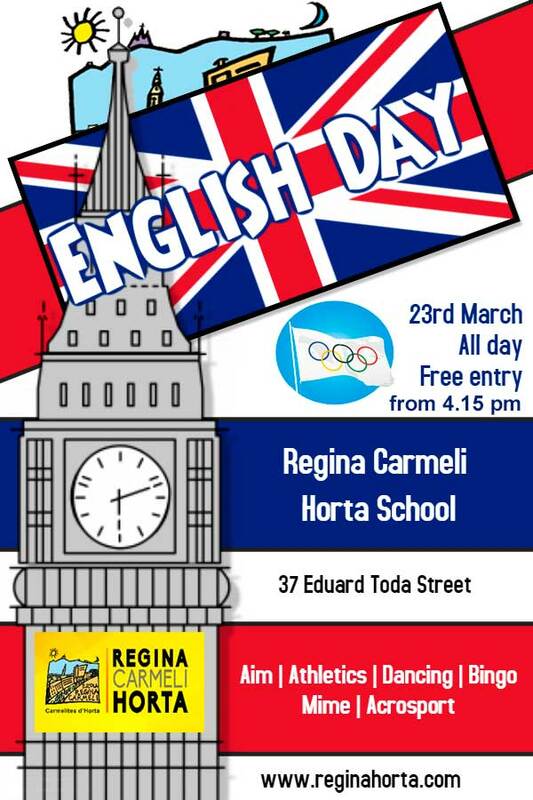 Each year, at Regina Carmeli, we celebrate “The English Day”. We have different activities related to the English language and culture, which purpose is to strengthen and enhance even more the English language in our school. 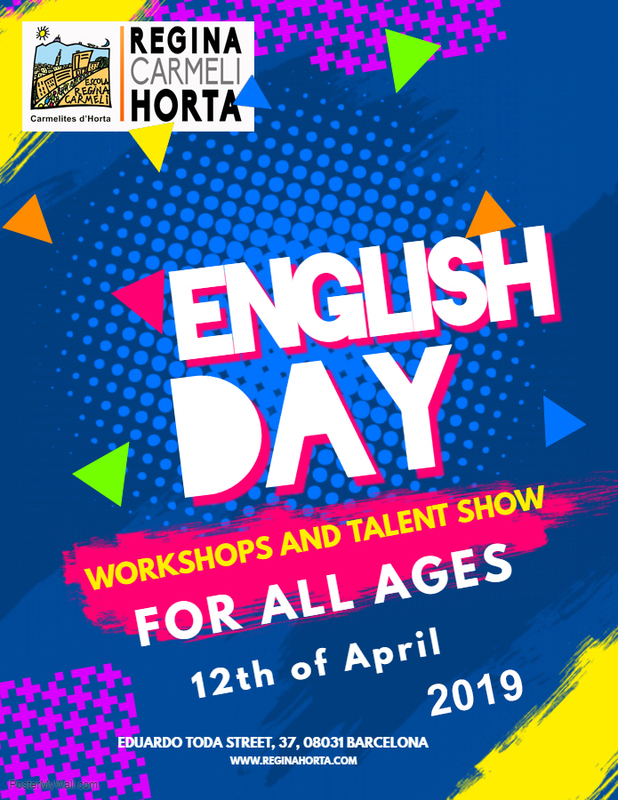 This annual celebration is coordinated by the “English is alive” department and it is addressed to all of our students, from Llar2 to 4 ESO. In our educational program, the English language plays a fundamental role from the early ages. We consider that speaking is one of the most important aspects to acquire a language; that’s why our English teachers are either native speakers or have spent a large amount of time in an English speaking country. We invite you to know our “English is Alive” project by making an appointment in our center. The English is Alive department. Today, we celebrated the English Day 2019. This is an annual festivity that has become a tradition in the Regina Carmeli Horta school, as a part of our school project English is alive. A day when speaking English is the main theme among students and teachers. This year the topic was focused on the professions. As previous years, there was a big parade in the playground and all the students marched dressed up as different professionals: artists, doctors, astronauts or firefighters were just some of the professions represented. At the end, it looked like a big Regina’s World Congress. This year, lots of families joined us to celebrate this amazing moment! After that, we split in small groups and we took part in different activities organized and distributed all around the school: kahoot, role-playing, bingo, karaoke and just dance. 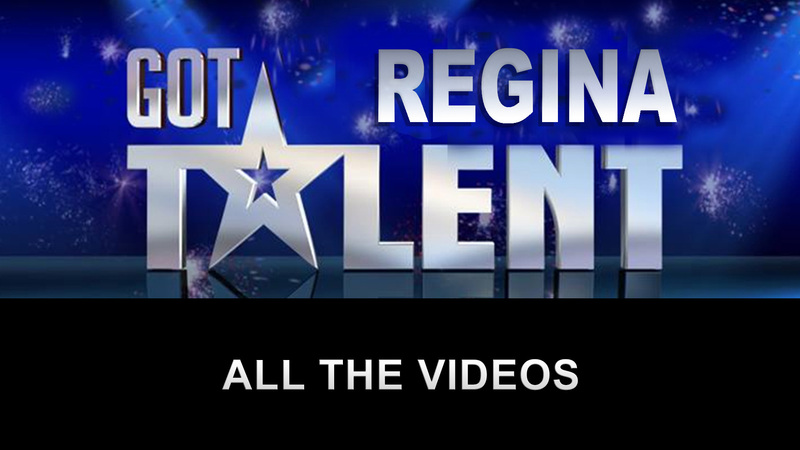 Besides that, some of the pupils prepared several performances that were displayed in a Got Talent Show. These activities were thought and planned both to have fun and improve our students’ oral skills. Here you have some of the best moments of our English Day. As always, we had an extraordinary quality time together! Posters of the previous editions.